On Wednesday evening, September 10, 2014, Peachwave of Norwalk will be serving up its usual array of delicious products to hungry patrons. On this night, however, local stomachs won’t be the only beneficiary of everyone’s appetite for frozen yogurt. 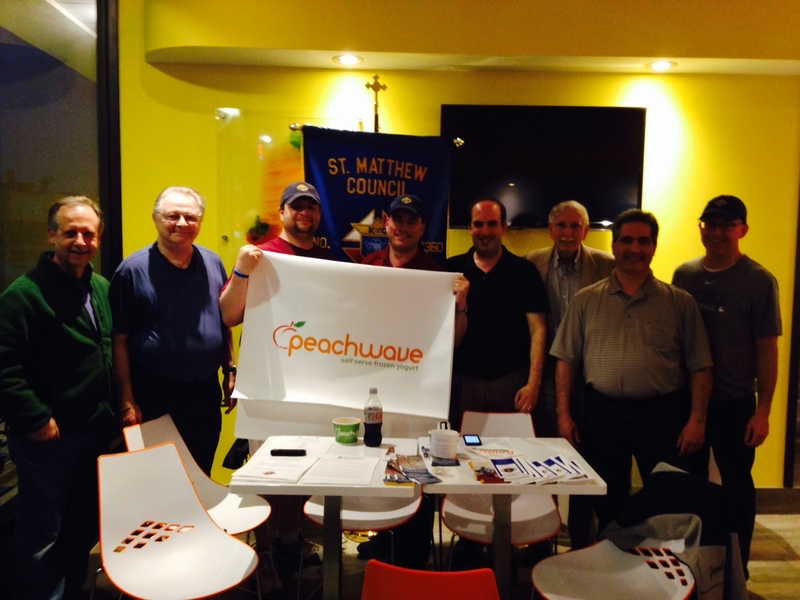 From 6:00-9:00 p.m on that evening, Peachwave will be donating 15% of sales to the Council 14360 Knights’ Charitable Fund. Customers need only display a flier (see below) or simply mention the Knights went paying in order to participate. In addition, anyone who brings a package of baby diapers (sizes 3-6) to Peachwave on the evening of September 10 will be entered into a door prize raffle donated by Peachwave of Norwalk. The diapers are being donated to Malta House in East Norwalk. The Knights’ Charitable Fund helps out such organizations as All Saints Catholic School, Notre Dame Convalescent Home, FCA, Al’s Angels and Homes for the Brave in Bridgeport. Click on the link below to print out a flier. See you on September 10!